Everybody needs a little pink in their lives this week! 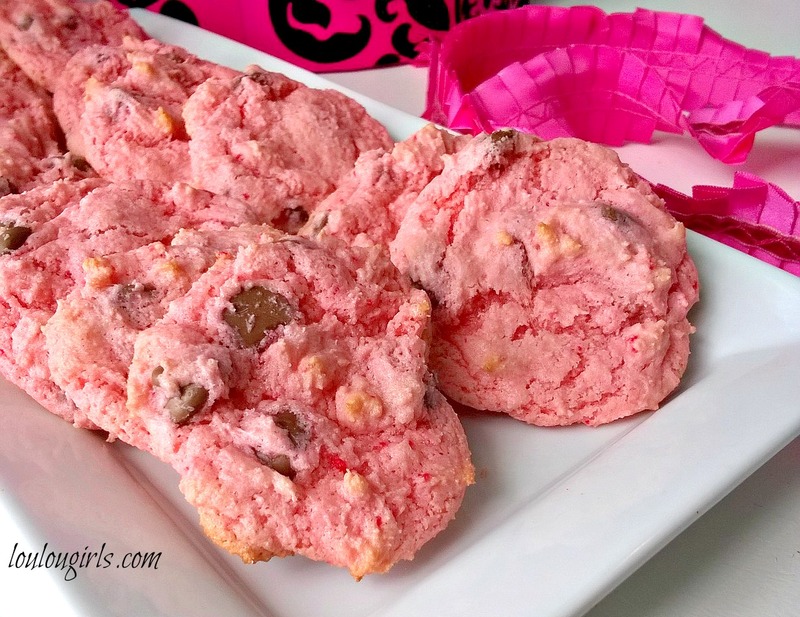 This is a super easy treat for you to make to show LOVE! Preheat oven to 350 degrees. Line baking pan with parchment paper, and set aside. In a bowl, combine together the cake mix and baking powder. Add the eggs, oil and vanilla. Mix together the love. Gently add the chocolate chips. Form rounded balls and place them onto the prepared baking sheet. Bake for 9 to 10 minutes. Let cool! These cookies look delicious! Thank you so much for sharing this recipe! Now here is a twist on strawberries dipped in chocolate! I would never have thought of combining these two in a cookie. Thanks for sharing with us at #OvertheMoon might have to make some of these for Valentine's Day. 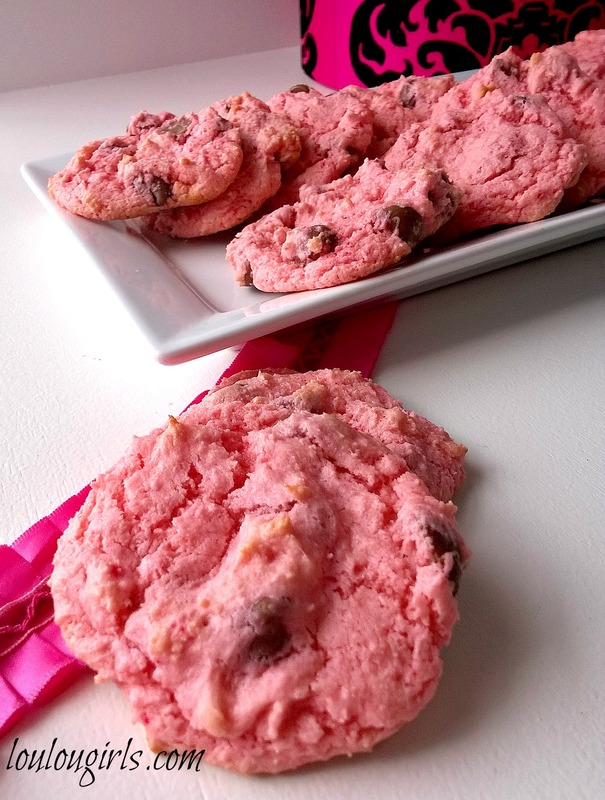 I make a cookie similar to these, only they are cherry flavored. Yours look good! I need to fill my cookie jar with some of these cookies! Thanks so much for sharing at Oh My Heartsie Girls Wordless Wednesday! We love when you drop by! What a fun recipe! 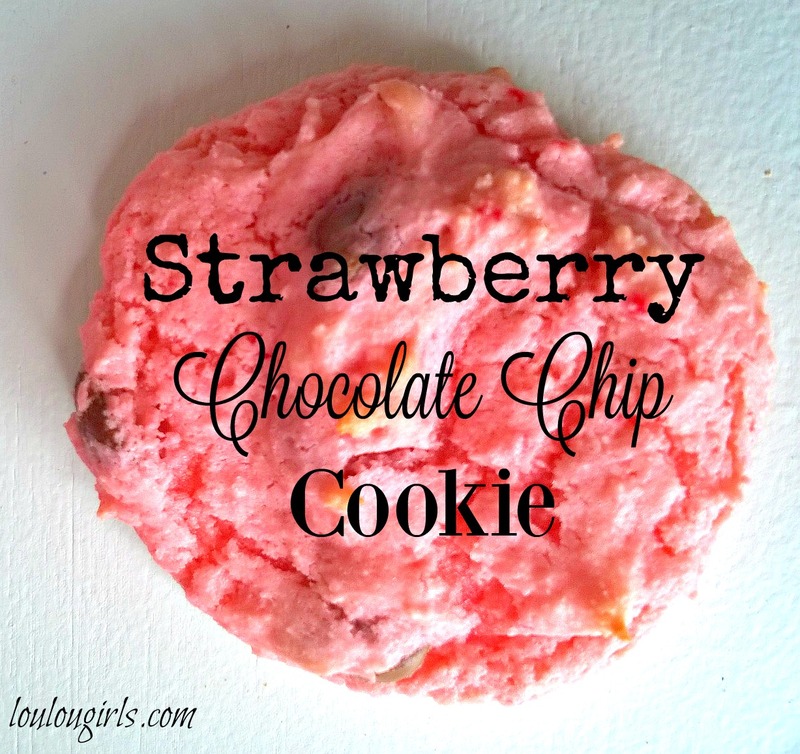 Love the combination of strawberry and chocolate! Thank you for sharing this recipe with us at the Hearth and Soul Hop. Pinning! Wish I had one of these awesome cookies right now! Hope you had a great Valentine Weekend and thanks so much for sharing with Full Plate Thursday.